January, April, July and September. Enquire now! The Bachelor of Community Health, offered by UniSA Online, prepares students for rewarding careers in community health, policy and wellbeing. You’ll expand your passion for wellness and develop fundamental knowledge that will help you make a difference in the community. Students begin by developing a solid foundation of knowledge in key areas such as human biology, psychology, mental health and cultural safety, in both national and international settings. You’ll then gain non-clinical community health skills, such as planning, development, implementation and evaluation of community health programs; working with diverse clients; and keeping up-to-date with the changing regulations and technologies. Students will have the option of specialising in focus areas such as mental health, aged care and disability, and will explore strategies to address the health challenges that diverse communities may face. The degree combines theoretical knowledge with real-world experience, incorporating expertise from world-class staff as well as industry-focused projects and assessments. In order to complete your application, we will ask you to provide supporting documents as proof of your prior study or work experience. With a background spanning more than 25 years in online education, you can trust that you'll be getting a high-quality university experience when you Study On Demand with UniSA Online. 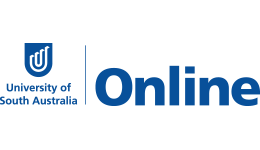 Considered a leader in the field, UniSA has transformed online learning and is one of Australia's largest online education providers (2017 Department of Education). Select a 100% online course that has been created by academics and experts in online learning, who are focused on giving you the best start on your chosen career path. With all course content and assessments available online, you can Study On Demand, on your terms, on your schedule. Studying with UniSA Online means you can Study On Demand. You'll gain around the clock personalised support to assist you on your learning journey. Technical issues? Nervous about a looming assessment? Gain on-demand access to their helpful and dedicated team. Whether you need help with assignments, referencing, administrative or technical support, you’ll have on-demand access to the UniSA Online team who’ll be there to support you, every step of the way. Students will have access to the UniSA Online ‘Study Help’ hub which is packed with loads of resources, workshops and support services. With online tutor support available seven days a week, you’ll be able to get help when you need it. If you’ve got a question related to your course, you can expect to receive a response in 24 hours. You’ll also be able to retrieve a range of resources through their virtual ‘Ask the Library’ service. Gain full control over your study and gain a career focused qualification when you learn with UniSA Online! Upon successful completion of this degree you will receive a Bachelor of Community Health from UniSA Online. Graduates will be prepared for a career in the fast-growing non-clinical health sector, which is is expected to create more jobs than any other industry over the next few years. With specialised skills, in-depth industry knowledge and a understanding of the diverse aspects of community health, graduates are equipped to work in a number of areas, from disability to aged care to drug and alcohol abuse. If you are an Australian citizen, you may be eligible to receive a government HECS-HELP loan, meaning you can defer payment of your fees. Alternatively, you can pay your degree fees upfront. Fill out this form and a study consultant from UniSA Online will get back to you.